Results season is in full swing, so Paul is scrutinising the accounts of dozens of smaller companies each week. We offer below a few interesting stocks that caught his eye. Paul Scott, the ‘UK’s most prolific small cap blogger’, provides research for Fundamental’s Small Cap Value Portfolio Service. Results for the year ended 31 Jan 2016 were a tad disappointing, although delving into the detail revealed that the core UK retail business actually had quite a good year, with profits up. The fly in the ointment was Japan – a big earner for the overseas, franchised operations. Also a £1.3m loss was incurred from the insolvency of Laura Ashley’s Australian franchisee. Despite this, the business remained remarkably cash generative, and has maintained a dividend payout (for the 5th year running) of 2.0p per share. That equates to a stonking yield of about 8%. Moreover, the business generated enough cash to finance this generous dividend, and it has a relatively strong balance sheet too. So a very attractive proposition for income seekers. Mind you, we cannot be certain the big dividends will continue, as after all the payout is a policy decision by management. The dominant Malaysian shareholders are certainly not disadvantaging minority shareholders by paying such generous dividends -–long may it continue! I had not looked at this company before, but on an initial review a few days ago, I liked the look of it. This is another company with a dominant major shareholder. The company makes innovative electronic equipment for musicians. The organic growth since 2009 is highly impressive. The balance sheet is solid, with £6.2m in net cash. The only thing I don’t like about this share is the price – at 174p the rating is quite high, at a PER of 18.5x August 2016 estimates. That said, sometimes you just have to pay up for quality. I’ll do some deeper research on this company over time. I find the research process is an ongoing thing – you get to know companies gradually, and build on your knowledge, rather than it being a one-off procedure. This is definitely not one for widows or orphans! Synety is a very speculative share, which has disappointed in the past – management over-optimism meant that they misjudged the amount of cash required, ending up doing a deeply discounted Placing at 90p last year. However, the new Chairman, Peter Simmonds, seems to be having a very positive impact on strategy. He of course successfully built up DotDigital, so knows a thing or two about SaaS businesses. I feel Synety has just reached a tipping point, where it is clearly now funded to breakeven, as set out in the recent results statement narrative. Organic top line growth is running at 103%, which together with cost cutting, means that cash burn has now reduced to approximately £200k per month, and falling. So it should reach breakeven in mid-2017, and has adequate cash + loan facilities, to get there. Therefore I see potential for a step change in the way this company is valued. Once investors stop fretting about the cash running out, and instead begin to calculate the returns that 100% top line growth, combined with gross margins of nearly 80% can do to the bottom line, then it could get interesting. That said, the company is not out of the woods yet. If current trends continue, and management sounded confident in a webinar this week, then there could be exciting upside here I think. 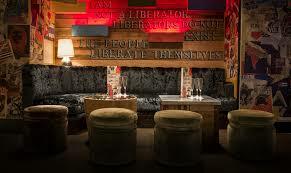 Not really a sector that I want to invest in – nightclubs and bars often make very poor investments. However the interesting aspect here is that highly respected businessman Luke Johnson got involved last year, buying a stake personally, and becoming Exec. Chairman. Interim results this week show that the company is beginning to turn around, with a loss last year turning into a small profit this year. So again a very speculative idea, but I like turnaround situations, and might possibly have a small dabble in this one. Although note that the share is horribly illiquid. Disclosure: Paul holds personal long positions in Laura Ashley, and Synety. Some of you may have seen Paul Scott’s daily small cap blog on Stockopedia. Paul also researches small caps for our Small Cap Value Portfolio service, which has been running since Jan 2014. This company is the world leader in laser-guided concrete screeding machines (to lay perfectly flat floors, particularly important for large warehouses). I interviewed the CEO recently, an interview which confirmed my view that this is a terrific company, with trustworthy management, and priced at quite a bargain level. The company reported excellent 2015 results on 1 Mar 2016, which I reported on here. Not only is the PER low, but the company also has a sound balance sheet holding net cash, and pays a decent & growing dividend. So why are the shares so cheap? Investors may be worrying about China, but reduced business overseas was easily compensated for by booming business in its main market, the USA. We are also aware of the fact that this is a highly cyclical company, so it will undoubtedly suffer in the next recession, but so will plenty of other companies too! Recent economic data from the USA indicates that recessionary worries are receding, so we think this share could have really good continuing upside over the next couple of years – providing the US economy remains reasonably buoyant. We generally keep away from IPOs, because so many seem to go wrong! However, there can be rich pickings once the price has crashed after bad news. It’s too early to be 100% sure, but we think Lakehouse exhibits characteristics which may see the shares recover somewhat in the future. Revised broker forecasts might yet prove still too optimistic, but there’s bags of headroom within the price – at present the PER is only about 4, based on this year’s forecast earnings. We waited until the share had put in a bottom, and begun to establish an up-trend, so this combined with our fundamental analysis, gave us the confidence to buy an opening position for the FAM Small Cap Value Portfolio this week. 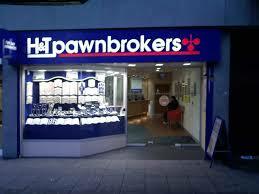 Not everyone will want to own shares in a pawnbroker. However, the figures here really do look good. Not only are the shares rated on a modest forward PER of about 11, and paying a generous dividend yield of about 4%. However, there is also bulletproof balance sheet support – so the share price is backed up with solid tangible assets. There’s minimal bank debt, compared with the pledge book and inventories. It’s very rare to find a share where investors can have a modest valuation on all three criteria at the same time – earnings multiple, dividend yield, and tangible asset backing. This simulator company had a dreadful 2015, but is now well set up for a return to profit in 2016 and 2017, based on a strong order book, and reduced costs. Whilst we have some concerns on corporate governance issues, we think there could be scope for a say 50% profit on this share, more as a trade than a long-term investment. It sounds from a recent announcement as if the company is close to reporting a major contract win, which could be the catalyst for a recovery. Disclosures: Paul holds personal long positions in LAKE, SOM, and PEN. The oil price has staged a surprise (at least to many!) recovery over the past few weeks with Brent up nearly 50% from the January lows to just over US$40 and WTI up just over 34%. Russia’s talk of a production freeze and, more recently, news of Ecuador hosting a meeting of Latin American crude producers has evidently offered encouragement. The smaller-than-expected build in stockpiles at the Cushing, Oklahoma delivery hub for U.S. crude is also helping. The encouraging news has also offered support to the beleaguered oil services sector with several stocks in our universe seeing material increases, one of which has seen its share price rise more than 200% in a matter of weeks. If we were talking about some micro-cap minnow this wouldn’t be remarkable, however the stock in question is one of the giants of the sector and a business which generated revenues of over £5bn and an operating profit of near £1bn in the last reported financial year. We think it’s time to take a closer look at the fraught oil services sector. The giant in question that has seen its shares rebound so materially is the US and Norwegian listed offshore driller, Seadrill (SDRL) whose shares have now risen more than 200% over the past 2 weeks, more than doubling in a single day on huge trading volume, yet no company specific news. That’s a mighty move for a business with a market capitalisation of approximately US$2.5bn currently. Seadrill evidently has plenty of issues, including a decidedly less rosy forward outlook and US$billions in debt maturities coming due over the next few years. However, it highlights the potential opportunities in a sector that has had little to cheer about over the past few years. The press has also once again dug out the possibility of Weir Group (WEIR), the UK listed manufacturer of pumps and valves, being a possible target for US listed General Electric or Flowserve. We think cash rich US industrial buyers will be inclined to sit on the sidelines for the time being, especially with continuing sterling weakness on Brexit fears. In the meantime Weir has a tough job ahead. Recent full year results from Hunting (HTG) were predictably awful with the reported loss for the year ending 31st December 2015 US$227m including heaps of impairments. More positively free cash flow of US$118.0m was quite good and net debt of US$115m quite modest and extremely manageable. We struggle to see the value in Hunting at current levels and are very surprised how the share price has bounced so strongly. The midstream energy sector in the US received a blow yesterday from the US courts as a judge allowed Sabine Oil & Gas, a shale energy producer under Chapter 11 bankruptcy protection, permission to break contracts with two pipeline companies so it could pursue better deals. The midstream sector encompasses the gathering, processing, transportation and storage of oil and gas and has been viewed as a ‘safer’ sub-sector of the oil and gas arena in the US (although share prices have still tumbled) with the view that long term contracts were virtually unbreakable, thereby offering greater certainty over the large dividends that midstream players pay out. This latest ruling therefore brings that whole rationale into question and saw investors subsequently selling out of the pipeline companies. With the share prices of pipeline operators decimated over the past 12 months, largely due to fears surrounding their large debt burdens, this sub-sector could offer some interesting pickings……for the brave. We continue to believe that the struggling energy sector will offer meaningful investment upside over the next few years for investors willing to look beyond the current uncertainty.